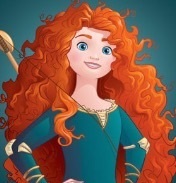 Merida redesign.. . Images in the Mason Forever! club tagged: photo disney princess disney princess mason shippers mason shipper redesign.